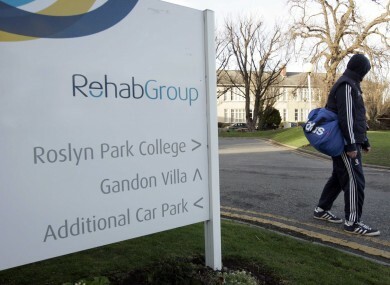 REHAB IS CONSULTING with employees over plans to cut back in the areas of fundraising and lotteries. The charity said that as many as 40 posts ‘may be impacted’ by redundancies, and that some activities will cease. A spokesperson said this morning that the decision has been taken ‘solely as a result of the need to reduce costs [...] to ensure the sustainable future of the organisation’s services”. “As these are consultation processes, the number of people who may ultimately be impacted by redundancy is not known but it is envisaged that approximately forty posts may be impacted,” they added. They stressed front-line positions would not be affected. Earlier this year, former Minister for Justice Alan Shatter said that close to €4 million worth of Rehab lottery scratch cards sales earned just €9,452 profit in 2010. He came under fire from Rehab Group, who called on him to withdraw the “unacceptable” remarks. The charity appointed the CEO of Our Lady’s Hospice to take over as its new chief executive following the departure of Angela Kerins. Mo Flynn will take up the top position at the charity from the beginning of next year on a salary of €140,000. Email “Jobs at risk as Rehab cuts back on fundraising and lotteries activities”. Feedback on “Jobs at risk as Rehab cuts back on fundraising and lotteries activities”.